Nefertiti’s Daughters is a story of women, art and revolution. 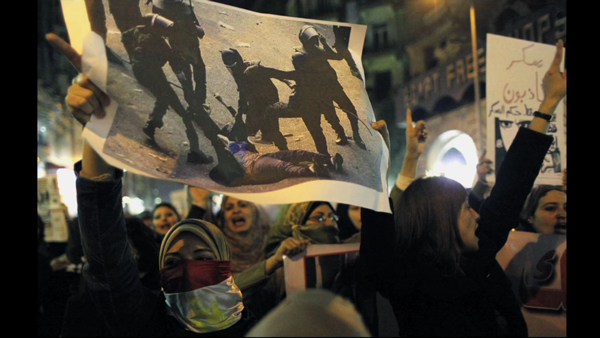 Told by prominent Egyptian artists, this documentary witnesses the critical role revolutionary street art played during the Egyptian uprisings. Focused on the role of women artists in the struggle for social and political change, it spotlights how the iconic graffiti of Queen Nefertiti placed her on the front lines in the ongoing fight for women’s rights and freedom in Egypt today. Remi Award, Houston Int’l Film Fest; Grand Jury Prize, Athens Film and Video Festival.